In solidarity with interest groups concerned about anthropogenic climate change, I have recently installed solar panels. In our basement. 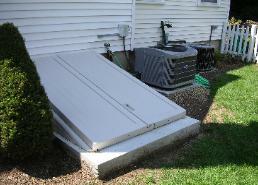 They seem to work best when the bulkhead doors are open and/or when the basement lights are turned on. If it doesn’t work out, that’s okay because I paid for it with Federal funds allocated for this purpose (thanks, by the way!). While the solar panels are great, what I am most excited about is my new wind turbine…..
As ridiculous as that sounds, is it possible that cover crops following corn silage are often managed in a similar manner? Sure, we ‘use cover crops’ and you can see green from the road, but when they consistently function at a fraction of their potential, they are little more than window dressing. Managed optimally, cover crops have immense potential to 1) improve soil quality; 2) prevent nutrients from leaving the field; 3) stabilize the soil and prevent erosion; and 4) contribute to the feed supply. The biggest advocates of cover crops that I have met are the farmers who have worked very hard to make them as functional as possible. Understanding how cover crops interact with soil and water is essential as we move toward making cover crops functional in our fields. Remember how our rivers, creeks, driveways, and roads were rearranged by Tropical Storm Irene? Moving water is erosive. Water moving fast is more erosive. Fast-moving water carrying soil particles, rocks, and boulders is even more erosive. Anything we can do to slow the water down and reduce the amount of soil that it is transporting, will reduce its erosive power. Like logs in the creek, plant stems, leaves, and crop residue on the soil surface present a physical barrier to moving water. This lower water velocity promotes water infiltration and allows soil particles to settle out of the moving water. The best agricultural soils will allow a moderate rate of water infiltration. 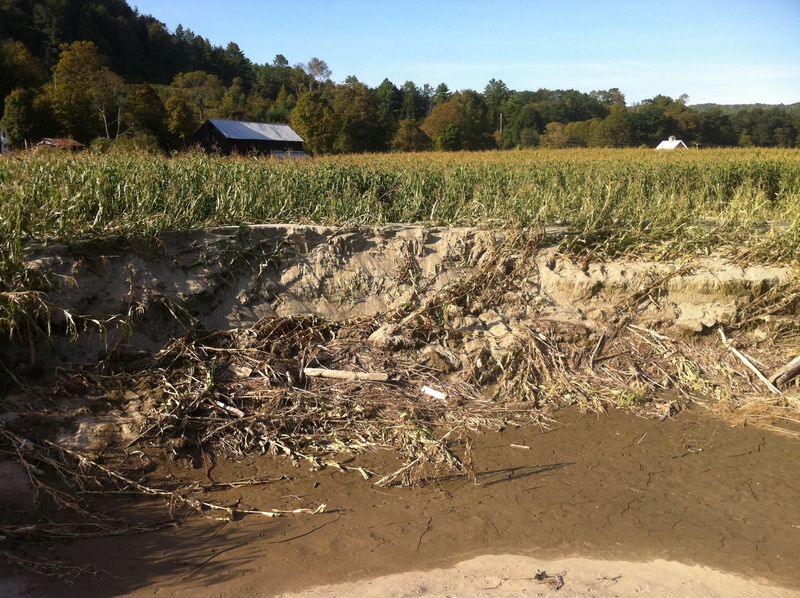 If infiltration is slow and/or precipitation is rapid, water will eventually begin to pool or move downhill. Having many little barriers along the way will slow that water down. In his 1969 hit song, B.J. Thomas was the first to recognize the potential adverse impact of raindrops when they keep falling on one’s head. His observations led a crack team of UVM and USDA soil scientists to investigate whether raindrops could have similar adverse impacts on soil and the environment. To their dismay, they discovered that B.J. was onto something. Their groundbreaking research culminated in the birth of the North American Cover Cropping Movement in 1970. Hitting the ground at 20-25 miles per hour, raindrops have significant energy that can cause soil particles to detach. When those detached particles begin to move with water, they collectively increase the erosive force of runoff by scouring the surface of the ground/channel as they move. Healthy soils are teeming with life and are less prone to erosion because resident microbes http://soilandhealth.org/wp-content/uploads/01aglibrary/010117attrasoilmanual/Soilmgt3.gifand macro-organisms in the soil secrete and excrete substances that cause soil particles to stick together. Soil binding substances have their limits, however, and a raindrop hitting soil will dislodge some soil particles. Promoting healthy soil with active microbes and macro-organisms that secrete these substances will reduce detachment of soil particles by raindrops or moving water. In addition to the roots physically holding soil in place, decomposed/decomposing cover crop tissue provides food for soil organisms and ultimately contributes to soil stability. Protecting at least a portion of the soil from direct impact of raindrops is one way to reduce detachment of soil particles and subsequent soil loss. In addition to slowing movement of surface water, well-established cover crops function as a physical shield that dissipates the energy of incoming rain drops, reducing the amount of soil that is detached. In areas where wind erosion is a concern, cover crops physically protect the soil in more than one way. Consider the picture below. 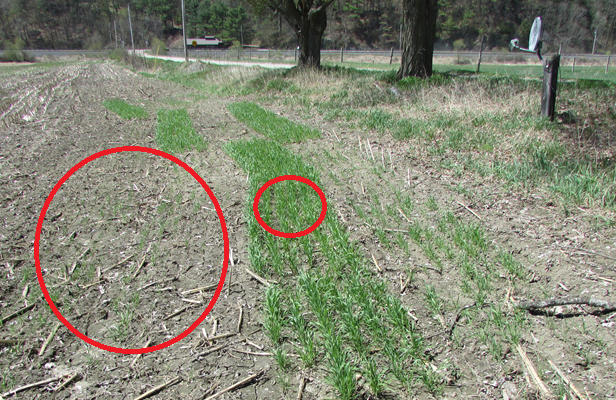 Is the cover crop in the circle on the left likely dissipate the energy of raindrops or slow movement of surface water? Will its root structure do much to stabilize the soil? Probably not. Can it still help to improve the soil quality in the long-term? Maybe, but probably not noticeably and its overall value to the farm and the ecosystem is open to question. Getting your cover crops planted early is essential for optimizing cover crop performance. Here are some practical considerations when planning for the 2016 cropping year. The correlation between corn relative maturity and yield is not linear or perfect and planting shorter-maturity corn hybrids is a good option for many. While long-day corn can occasionally give you ‘slam dunk’ yields, such varieties can be the cause of economic pain if they fail to mature. There many varieties of shorter-day corn that will yield as much or more than longer-day corn yet give you more of a chance to plant cover crops on time. Work with several seed vendors to plant small plots/strips of various corn varieties with a range of maturities. It is also a good idea to work with your consulting dairy nutritionist to get feed quality reports for each variety. Planting your corn late often begets late harvesting (and late cover crop establishment). Would you be well-served to own a corn planter rather than relying on custom operators? While I believe that custom operators are a valuable part of the agricultural economy, they still can only be at one place at one time. Between the demand for their services and unfavorable spring weather, significant delays in corn planting often delays harvest, reduces yields, and adversely affects the quality of the corn silage (less starch). It is not hard to imagine a corn planter paying for itself in a year or two just in increased yield and quality. Could no-till planting work on at least some of your fields? In many cases, the spectrum of attachments for ‘no-till’ planters can overcome many of the problems associated with earlier generations of no-till equipment. Depending on soil particulars, having the option to plant no-till can often get you into the field earlier, yet without compromising yield. 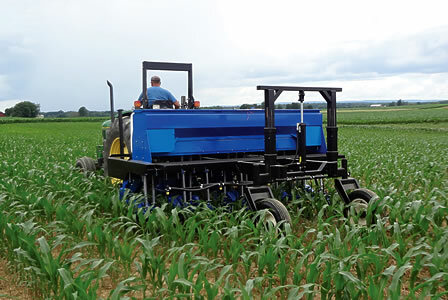 State Interseeder is an intriguing tool that can function as a regular no-till drill when it is not used for interseeding, and the cost is similar to regular no-till drills. It can be fitted to apply sidedress nitrogen and/or spray weeds at the same time interseeding is being done. Given the diverse landscape, time of planting, and weather, a substantial opportunity for custom interseeding of cover crops seems to exist. What herbicides are in your weed control program? Your weed control program can narrow your options for cover crop species and/or your ability to harvest the cover crop in the spring. If you want to harvest your cover crops for livestock feed, you need to consult with your custom applicator in advance. Broadcasting cover crop seed into standing corn is a gamble. It will work sometimes in some parts of some fields, but here is no substitute for seed-soil contact. Getting the timing right can help, but the right timing is largely determined by the weather and more easily identified in hindsight. Shade, lack of water, and sub-optimal seed distribution can all result in sub-optimal stands. 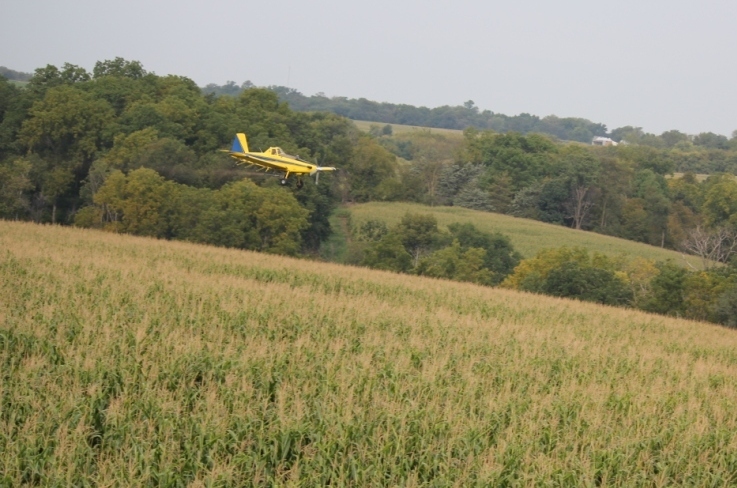 This entry was posted in Uncategorized and tagged aerial seeding, agriculture, cereal rye, corn silage, cover crop, dairy, erosion, farming, interseeding, manure, manure management, nitrogen, no-till, phosphorus, rye, University of Vermont Extension, Vermont, winter rye. Bookmark the permalink.